Liz and Roo Crib Skirt - Flax Linen | Create Your Own Unique Look With Nursery Bedding Separates at SugarBabies! Make an elegant statement in your nursery by decorating with soft, supple washable linens. Liz and Roo's flax linen crib skirt is the perfect gender neutral nursery color, and can be coordinated with a wide variety of blankets, rail teething covers, sheets, baby shams, curtains and valances. 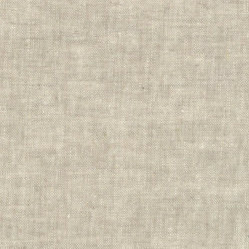 Our flax linen is versatile. 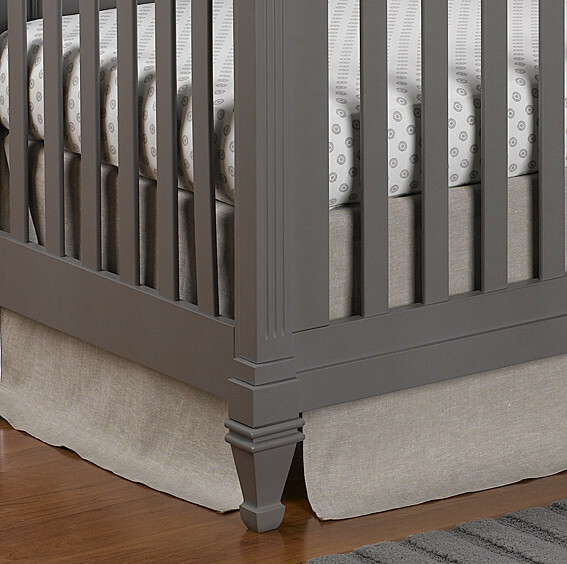 Our flax linen crib skirt has a 16" drop, perfect for varying heights of the crib. This skirt is a traditional flat front with pleated corners. 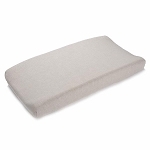 All Liz and Roo crib and toddler bedding is Made in USA.